Summer is never complete without at least one trip to Coors Field to watch the Colorado Rockies (Drew Stubbs is a cutie and CarGo is the man!). Ballparks typically mean spending an insane amount of money on food – $5 for a hot dog, $10 for a beer and if you’re bringing an entire family to the game – it means you should eat before you go. 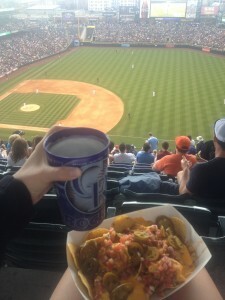 There is one secret spot at Coors Field that makes a trip to see my favorite team affordable and yummy. Monster Chicken Nachos. I kid you not these things could feed a small starving nation – and they’re so good! If you’re lucky, you’ll find the stand with the brisket nachos, although I haven’t seen those offered in a few years. Located on the first level of the stadium, along the first baseline, is where you can purchase these. My dad claims that they’re located on the main deck on the right field side and that they have steak there – but I think he’s wrong. 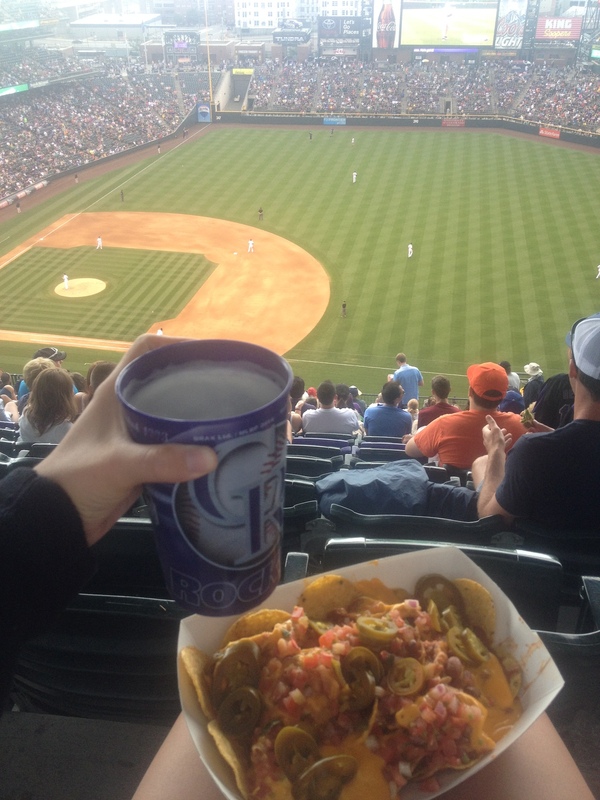 Monster Chicken Nachos and a Blue Moon at Coors Field. The best part? They’re maybe $7 total and they could feed two-three people easily. Grab a Blue Moon to go along with your nacho feast – you saved enough money on your food that you can afford the beer!